Do Airbnb-style short-term rentals destroy neighborhoods — or save them? Despite the Airbnb “horror stories” — 50 frat boys packing a tiny house for a weekend of debauchery — the real danger of short-term rentals, critics say, is the evisceration of neighborhoods, where greedy landlords displace long-time tenants for the quick buck of well-heeled weekenders. As New Orleans’ residents are replaced with tourists, the businesses that once served the neighborhood lose their customer base, and they too are replaced with overpriced establishments catering to the wealthy from elsewhere. That view, supporters of the industry counter, gets the entire picture backwards. Airbnb actually allows residents to keep their homes amid rising prices by providing them with a small but significant supplementary source of income. Meanwhile, because the residents remain at the house, they have more money to spend at their favorite neighborhood establishments — and their guests often choose to spend money at the same places, strengthening the business community. The gulf between these two perceptions of the short-term rental industry was on full display Thursday night, when Tulane Hillel focused its periodic “The Big Issue” speaker series on the Airbnb debate. 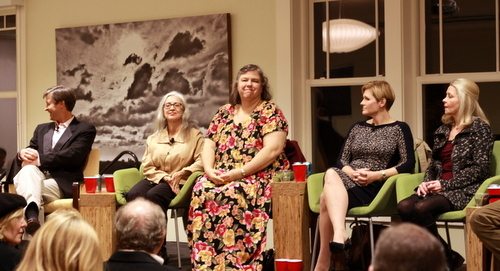 Panelists included neighborhood leaders, members of the hospitality industry and advocates for short-term rentals, and the differences between their views were amplified by the strongly divergent opinions held in the audience of more than 100 people. New Orleans law currently prohibits private residents from renting out their homes for less than a month at a time (two months in the French Quarter). Airbnb.com, however, encourages and enables them to do just that — it connects travelers to individual rooms inside houses all over the city, and now lists more than 1,000 participating properties across New Orleans. As the service becomes more popular and more widely known, the opportunities for these two different viewpoints have dramatically increased, and discussions of how to handle the issue have spread from neighborhood groups to the New Orleans City Council. Lisa Suarez of the Faubourg Marigny Improvement Association says her neighborhood has borne the brunt of the change, watching homes that once housed families who contributed to the city and the neighborhood give way to a parade of short-term visitors. “There’s been a certain amount of evisceration of neighbors,” said Suarez. By contrast, Eric Bay, a homeowner who lists his house on Airbnb, says that he does his utmost to make sure his guests have only a positive impact on the neighbors he’s lived by for years. If there are excesses, he said, they can be curbed by regulation — and the city would only benefit by taxing the revenue stream his rental produces. “I’m looking to regulation, legislation, taxation and really to come together to a happy medium,” Bay said. Rafe Rabalais of the Gulf Coast Housing Partnership emphasized that the service is probably still too new to draw any hard conclusions about. But as the city begins to consider how to regulate it, he said, the most important thing will be to realize that its impact seems to vary by neighborhood. Some areas probably do benefit from the influx of visitors, he said, while others probably are more burdened by them. To view the conversation in whole, see the video above, or follow our coverage below. See above for live video and below for live coverage. It is important to recognize the difference between airbnb “Private Room” rentals where the host is present to supervise the property and guests vs. airbnb “Entire Place” rentals where no host is present. “Private Room” rentals can help residents stay in their homes. “Entire Place” rentals, when offered on an ongoing basis, is just about making money for an absent landlord. To learn how cities around the world are working to appropriately regulate airbnb check http://www.TheAirbnbAnalyst.com . Councilwoman Guidry: Accessibility on St. Charles Avenue streetcars “is going to happen'” Owen Courreges: In Torres versus Landrieu, was there any victor?